State tax credits are important to economic development in our communities. 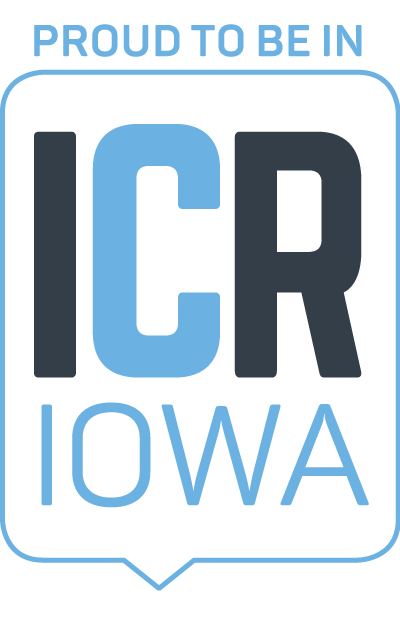 In the last few years, tax credits have been awarded to area companies such as Amana Millwright Hotel, Collins Aerospace, CRST, Crystal Group, Diamond V, Freund Vector Corporation, Highway Equipment, Legacy Manufacturing, LeSaffre, Lil' Drugstore Products, ReConserve, Skyworks Solutions, Timberline Manufacturing, Van Meter Inc., VSPEC, Whirlpool, and World Class Industries. Protecting key economic and community development incentives is a central focus of the Economic Alliance’s public policy priorities. Those companies provide thousands of jobs to our residents at good wages, which ultimately generates a robust economy and builds strong communities. Several of those projects were courted by other states, and jobs could have been lost if a competitive proposal was not offered. Tax credits also supported renovation of the former Chrome Horse building in the Czech Village/New Bohemia District for commercial, office and retail space. The former Monroe Elementary building has been recently converted into low-income senior housing thanks in part to tax credits too. Last year, the Iowa legislature passed much-needed tax reform. The legislation, supported by the Economic Alliance, will reduce individual and corporate tax rates, and also take steps to simplify the code. It also included a provision calling for a legislative study to take place this year with the purpose of providing recommendations on the future of the state’s tax credit programs. Iowa has many tax credit programs that were designed, in part, to alleviate Iowa’s once overly complex and outdated tax structure. Now that we’ll begin to see a less burdensome tax structure it seems the right time to evaluate what works, what’s outdated or perhaps create new competitive credits that bring more businesses and workers to the state. As the review gets underway, it's important to remember some critical facts including that the economic development world is competitive. Iowa competes with states that have no income tax, lower tax rates and more incentives. Not to mention the enticement of oceans and mountains in some regions. It also remains true that under last year’s state tax reform law, Iowa’s top corporate rate is lower only than two states. We must keep this in mind as tax incentives are reviewed. The competition factor is real. If we want to keep businesses and workers and attract more, giving ourselves the most competitive advantage possible is necessary. Iowa must maintain its forward-thinking economic development programs that grow and enhance the state. Programs, credits, and incentives that promote innovation, jobs and community revitalization and have demonstrated a positive return on investment need to be protected. We will take every opportunity to remind legislators of these facts, and we ask that you do too.